Khanyisa Bunu is a former school teacher who ventured into comedy through the reality show ‘So you think you are funny’ in 2009 where she was eliminated in the top 6 of the competition. 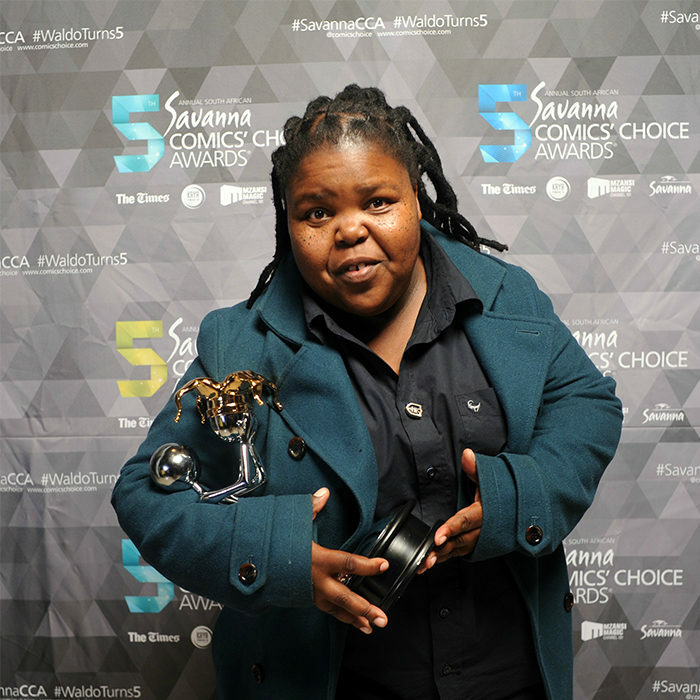 She made history in 2015 by being the first ever female to win an award at the Comics Choice Awards when she scooped the Audience Choice Award. She attributes her success to the fact that she is an all rounder because of her clean and brilliant material and can perform anywhere whether it be church, corporate events, weddings, school, clubs or anywhere you can think of. She has performed around the world and wowed audience in places like New York, Nigeria, Botswana and Swaziland. I was no surprise that she ventured into comedy and she has always had a funny bone at school, among her friends as well as her family. She gets her inspiration from all hardworking comics who make things happen.